This was another show that we would watch as a family and one that I didn't mind that they had a monster of the week theme, because they always has the underlining mystery of the show. Mulder was my second favourite in the show because as always my favourite character was a villain...Krycek. Great show indeed! I never missed an episode back then. bonniesrg wrote: Mulder was my second favourite in the show because as always my favourite character was a villain...Krycek. Thanks for starting this Sym! My boyfriend bought the entire box-set in October 2007, we just finished watching it a few weeks ago. I absolutely loved this series. I must say though, I was extremely disappointed by the ending... and the film! 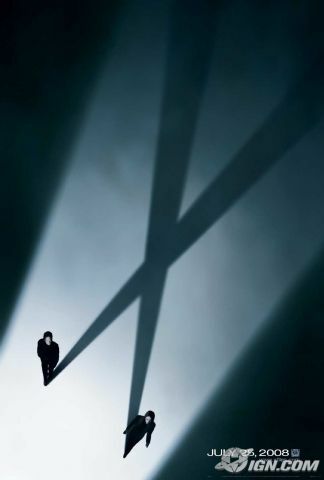 The X-Files is one of my absolute all-time favorites. I also have the box set of the entire series. Nicole, are you talking about the set with the drawer containing an episode guide, comic books, etc.? Because that stupid drawer never opens easily for me. Looks like I missed out. Mine is just a box with X-Files pics all over it. Nothin' fancy. Nicole wrote: Thanks for starting this Sym! And you do not like the ending? Of course I would have liked to see, what happened in the famous "date." I loved the X-Files so much that I spent almost £500 in one go buying S1-S8, then I waited too long to buy S9 so I had to buy the cheapy boxset rather thsan the nice shiny original boxes. I'm a big X-Files fan also, but I only have the 4 "Mythology" DVD sets. Even though some of the best ones were stand alone episodes (the pusher, anyone? ), the mythology episodes always interested me more. I liked the "Fight The Future" movie, but have yet to see the new one. When I bought my first X Files box there were no DVD's and the prices were absurd. Now I have it all on DVD but I just cant get it over my heart to trow away my 2 VHS boxes. The dynamic Mulder and Scully have is amazing, I havent seen it on any other show. WHat I loved is the balance of the big conspiracy story line and the monster of the week. They had awesome monsters(TOOMS!!!). After Twin Peaks, this is the best show ever. The X-Files was the last big TV obsession I had before Lost. Absolutely loved it to death. Mulder was my original John Locke. But the ending was a big disappointment, as happens with many great shows. The ending just can't live up to the standards 100+ episodes have set. I just hope Lost can escape that particular curse. Fantastic show. Mulder is one of the best characters to appear on TV IMHO. I was a little apprehensive about Doggett taking over but I really warmed to Robert Patrick. Wonderful acting for the entire cast and some really intelligent stories. Really awesome show that did great standalones but also made a great mythology that set the stage for shows like Lost, my current favorite show. I have the first 7 seasons on dvd. Great show, just wish the last movie lived up.